Download, print and start baking! Looking for a really easy to build gingerbread house? Check this one out! You can add windows and doors to your own preference, but you can also leave it as simple as this. Want a gingebread house template including a chimney? 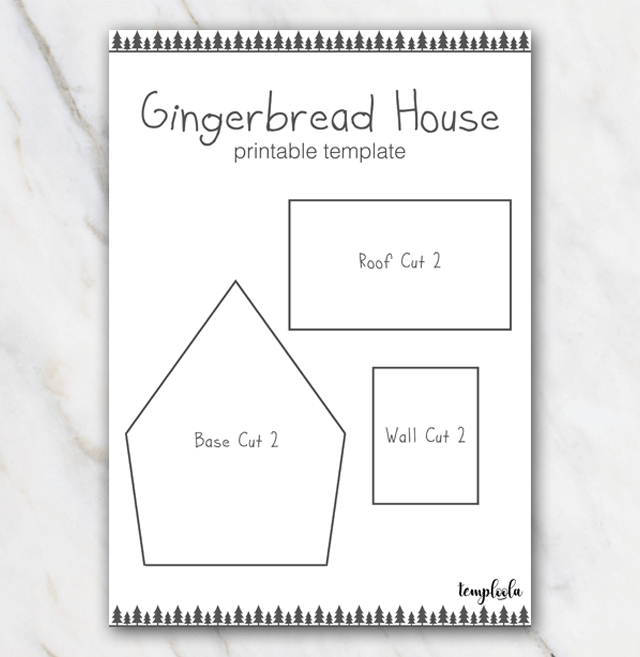 Have a look at the gingerbread house template page and check out the other templates.